Designed to keep you visible and dry throughout your commutes, the Altura Nightvision Evo Women's Jacket is constructed from a soft touch waterproof fabric for comfort and protection from the elements. Combining critically positioned highly reflective trim with an integrated i-Lume rear LED; the jacket will make you stand out on even the darkest nights in the city for added safety when you need it the most. 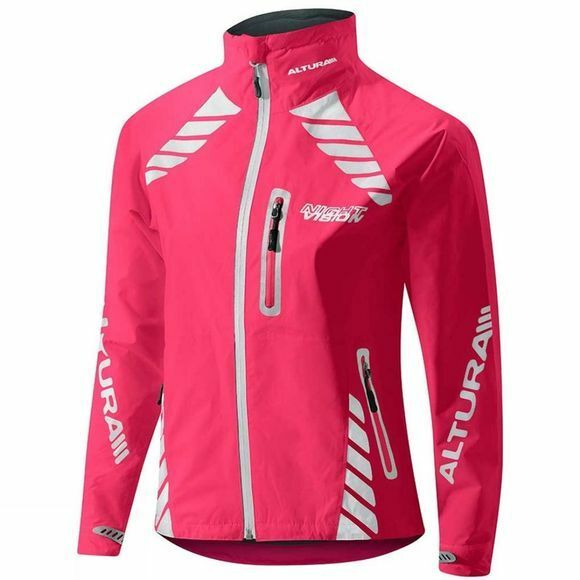 Stylish, waterproof and ultra-reflective, the Altura Night Vision Evo Women's Jacket is a must have for always on the go commuters.